248 pp., 70 illus., 45 in color, 7 x 10.5 in. 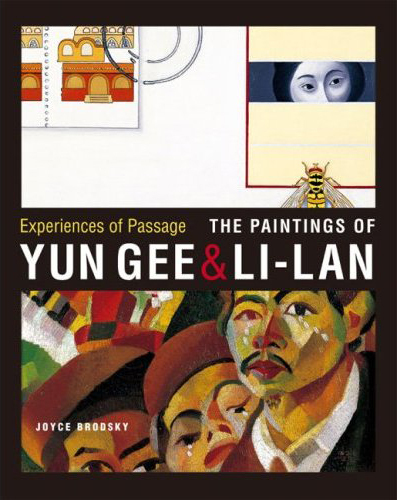 In this generously illustrated volume, the distinguished teacher, author, and critic Joyce Brodsky brings together works by the expatriate Chinese painter Yun Gee and his Chinese American daughter, Li-lan, exploring connections between each artist’s life and paintings. Yun Gee (1906-1963) was born in China, emigrated as a young man to San Francisco, and after living there and in Paris, spent the latter part of his life in New York City. Li-lan was born in New York to Yun Gee and Helen Wimmer Gee. She still lives and works in and near the city of her birth but has also spent long periods in Japan and more recently in China. Father and daughter alike exemplify the desire to live and work in freedom from the restrictions of national identity, a choice that permits openness to different cultures. For Yun Gee and Li-lan, this openness was never a reflection of trends in the art world but was an element of life itself, fully embraced and therefore embodied in each artist’s paintings. Both artists can be understood as cosmopolitan and transnational figures – citizens, in Homi Bhabha’s terms, of contemporary culture’s “middle passage.” This book, then, although not primarily theoretical, is informed by ideas of hybridity, transnationalism, and cosmopolitanism. As artists who have embraced multinational, multicultural, and multiracial experiences, Yun Gee and Li-lan have combined those experiences intrinsically, sometimes in spite of the pain that such a complex passage may entail. Li-lan was exposed to Yun Gee’s paintings and his cultural sophistication when she was a child, and this exposure was crucial to her artistic being. In turn, she has broadened and deepened the audience for her father’s art through her archival work, her conservation of and her efforts to encourage exhibitions of his work.